MANILA, Philippines (Mindanao Examiner / Apr. 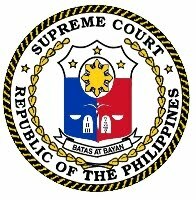 13, 2011) - Members of the Philippine Congress lauded the Supreme Court for affirming a previous ruling upholding the constitutionality of 16 laws which converted as many municipalities into full-fledged cities. “We applaud the SC decision, which recognizes the authority of Congress to pass and amend laws as it sees fit, and the sovereign will of the people who ratified in plebiscites the upgrading of their municipalities into cities,” said House Assistant Majority Leader and Cebu Representative Eduardo Gullas. Gullas said he and other members of Congress would immediately ask Budget Secretary Florencio Abad to release the Internal Revenue Allotment of the new cities. The IRA represents a local government’s share of revenues from the national government. The League of Cities of the Philippines has previously lobbied and blocked the conversion of municipalities into cities and strongly opposed the latest ruling of the High Court. In their last summer session in Baguio City on Tuesday, the SC justices sustained their February 15, 7-6 vote dismissing the LCP’s appeal for the cityhood laws, passed by the 11th Congress, to be declared unconstitutional. The 16 new cities are: Baybay (Leyte); Bogo (Cebu); Catbalogan (Samar); Tandag (Surigao del Sur); Borongan (Eastern Samar); Tayabas (Quezon); Lamitan (Basilan); Tabuk (Kalinga); Bayugan (Agusan del Sur); Batac (Ilocos Norte); Mati (Davao Oriental); Guihulngan (Negros Oriental); Cabadbaran (Agusan del Norte); Carcar (Cebu); El Salvador (Misamis Oriental); and Naga (Cebu).